Offering your pet a sweet or savory treat seems like it would be a simple gesture of affection, but with so many treats and chews to choose from sometimes it can be rough to find the right one to buy. If you’re fortunate enough to be able to take your pet inside your local pet store to pick out his or her own favorites you’re a step ahead, but if you’re on your own while shopping it may be a little tougher to navigate to the the right products. Here is a brief description of some of the best dog treats and chews and why they may or may not suit your pet. Please remember that no matter what tasty tidbit you offer your pet, observe them closely to make sure they’re enjoying their snack safely. Does your cat go cuckoo for Catnip? If you have you know how much fun it is to watch them rolling and twisting, rubbing, batting, clawing and biting those fuzzy and aromatic leaves. But have you ever wondered why cats react the way they do to the plant? Read on to find out more about your cat’s favorite flora! Catnip, Nepeta cataria, also known as Catmint, is a member of the mint family, one of about 250 species. It is native to Europe but has naturalized here in the US and in many other places. You can often find it along roadsides and in fields if you know how to recognize it, most of us would see it as nothing more than a roadside weed. The plants grow up to about 40 inches tall, with angular stems, soft, fuzzy, triangular-shaped leaves with scalloped-edges, and clusters of tiny pinkish-purple flower heads through summer. Of course, the easiest way to identify it is that characteristic smell! Your cat reacts to the potent essential oil, nepetalactone that gives catnip its distinctive aroma and has a powerful effect on the behavior of many cats. An alarming number of pets are surrendered every day because of behavioral problems. Many times these problems involve inappropriate elimination, in other words the pet is peeing or pooping outside of appropriate places (like the litter box or the yard). Inappropriate elimination in cats is particularly alarming because a cat is most likely to pee outside of the litter box when they are ill, and they usually have some sort of urinary tract infection as the root cause. 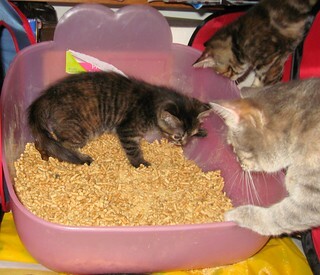 The moral here being, if your cat is peeing outside of the litter box, take a trip to the vet, not the shelter! 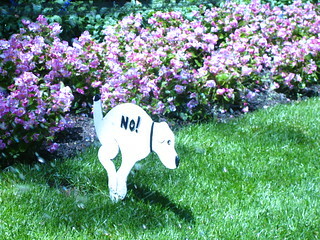 Pets can pee or poop inside the house for other reasons too, for example if they were never properly house trained or if they are very young. If there is one thing that all pet owners can agree on, it is that nothing stinks up a house quite like pet urine. So if you have a pet that is going to the bathroom outside of the litter box or the yard, Step 1 is to clean the affected areas so that your home stays fresh and your pets are less likely to eliminate there again. step 2 is to visit the vet to rule out any potential health problems related to this bad behavior. Step 3 is to train, or re-train, your pets where they’re supposed to do their business. This article is focusing on what I consider to be the hardest step.. Step 1: Cleaning pet urine stains and odors. Cleaning cat or dog pee off of your carpets and floors can be challenging if you don’t have the right products. What are the best products to use? Well, this pet owner has tried her fair share of pet cleaning products and some do work better than others. We’ve had our share of storms and rainy days in the Northeast so far this year, with more deluges in the forecast! Meteorologists and other media entities are quick to warn about the possibilities of flooding and other consequences of consistent rains, and they often give tips and pointers about how to stay safe if flooding should occur in your area. But what about your pets? What do you do to keep your pets safe and prepared in case severe storms, flash flooding or some other cause for evacuation should occur? It’s certainly best to plan ahead for a weather disaster, and with just a few simple steps you can have your pet prepared to deal with a variety of disasters sparing you both from possible heartache. How many times have you wished you could check in on your pets while you’re at work? Check out this infographic on using your home computer and Skype to keep an eye on your mischievous pets while you’re out and about! All you need is a computer with a web cam set up in the room where your pet spends his day and a Skype account. Do Pet Owners Have Rights? All responsible dog owners know the laws that we need to follow for our pets. We need to have them vaccinated against deadly diseases, we need to have them licensed and spayed or neutered. We know we have to report dangerous dogs and uphold a leash law where required. Most of us also know that we need to pick up our pet’s waste (even if there is no official law in place). I’m not what you would consider an athletic person. For years I struggled with laziness and weight gain and not even my own deteriorating reflection looking back at me couldn’t get me up and moving to do anything about it. But about a year ago, spurred by an office “biggest loser” competition and the possibility of a substantial cash prize, I finally made the leap and started a walking regime, and walking the dog was the natural way to get going. But you know, it wasn’t long til the money didn’t matter…I started feeling great, eating right, and best of all, I came to realize that daily walks were as rewarding and beneficial for my dog’s physical and emotional well-being as my own. Daily walks and explorations became a necessity, a welcome obligation, and my dogs have become two of my biggest motivators to get moving and get fit. It’s a good practice to get in the habit of performing monthly quick checkups on your pets in the comfort of your own home. You never know when a lump or other malady might show itself. Getting a “baseline reading” of your pet’s body will help you to detect early on when they might be having issues and let you know when it is time to make an appointment with your veterinarian. 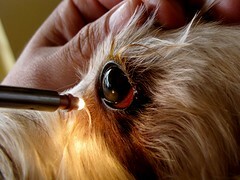 This article focuses on determining your pet’s baseline vital signs so that you can determine when something is amiss. Temperature: Body temperature is measured rectally in pets (yikes). I keep a spare digital thermometer for my dogs and use a healthy coat of Vaseline if I need to take their temperature. It can come in handy when you are trying to diagnose your sick pet. A dog’s temperature is usually between 100-102.5 degrees Fahrenheit. Any pet with a temperature under 99 or over 104 should see a vet immediately. Heart Rate: It is best to get a good reading on heart rate when your pet is calm and relaxed, perhaps after a massage or good belly rub. Find the heartbeat on the left hand side of the ribcage, near where the elbow fits into the chest. Count the number of heartbeats for 15 seconds then multiply this number by 4. This is your pet’s resting heart rate. Dog’s heartbeats will accelerate and decelerate with each breath. This is normal! Your pet’s normal heart rate will depend upon the size of your animal. Larger dogs have slower heart rates than lap dogs. Respiratory Rate: While your pet is relaxed and calm, maybe even sleeping, it is a good time to determine your pet’s respiratory rate and normal breathing pattern. Avoid measuring this when your dog is panting. Count the number of times your pet inhales for 1 minute. This is the respiratory rate. Also note if it requires your pet any extra effort to inhale or exhale. This function should be smooth and effortless. If your pet is having difficulties, contact a vet immediately. Mucous membranes: Your pet’s mucous membranes (read: gums and eyelids) are important in diagnosing problems with oxygenation and blood flow. Normal gum color is pink, but some dogs have pigmented gums (Barret’s are black), and this makes determining if the color is normal difficult. You can open the eye and gently lift the eyelid to get a good look at the coloring. Any membrane that is pale, white, blue or yellow should be investigated by a veterinarian. While you’re examining the mucous membranes, do a quick test for capillary refill time. This is also a good diagnostic tool to determine if blood and oxygen are flowing normally. Briefly apply pressure to the gums and release. The area should turn pale (where you applied pressure) but will rapidly return to the normal color. This refill time should be no longer than 3 seconds but should also not take less than 1 second. Hydration: A properly hydrated pet should pass the ‘scruff test’ with flying colors. 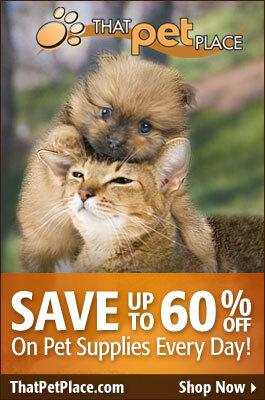 Gently grab your dog’s scruff (the loose skin on the back of the neck). Release it. The skin should immediately spring back into normal position. If there is a delay, your pet may be dehydrated. Get into the habit of performing these tests on your pet every few months to keep tabs on their vital signs. I almost forgot the most important part: write down the results and keep them somewhere safe, where you will have access to them in an emergency situation. I use the Pet First Aid app to keep track of my pet’s information (I reviewed this app last year).